1. Handmade very elegant Woman shoes from ILOS finished natural leather, model LR UK 1-1 Est White & Black lace. Individual sale price 174 EUR. 2. 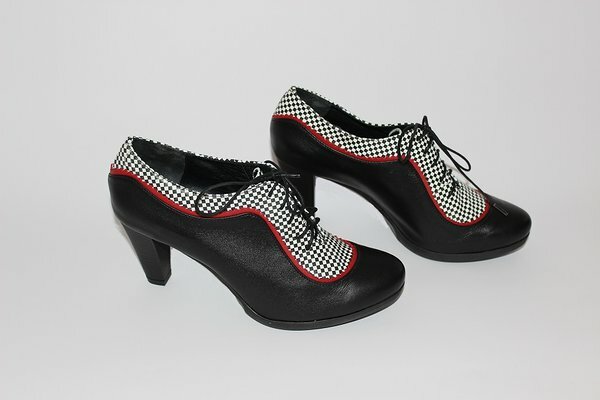 Handmade very elegant Woman shoes from ILOS finished natural leather, model LR UK 1-2 Est Chess. Individual sale price 161 EUR. 3. 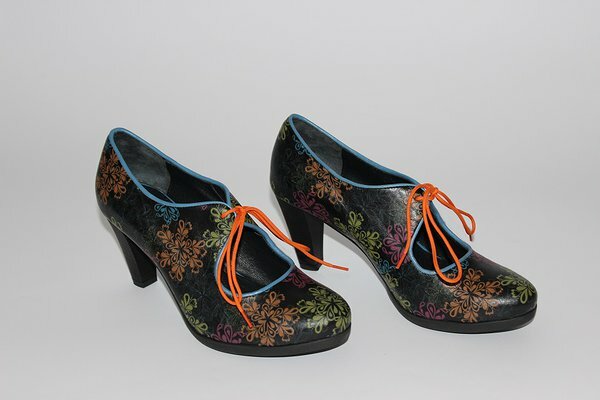 Handmade very elegant Woman medium-heel shoes from ILOS finished natural leather, model LR UK 2-1 Est Colourful flowers. Individual sale price 165 EUR. 5. Handmade Woman elegant high heel shoes from ILOS finished natural leather, model LR EST1 Grey flowers. Individual sale price 140 EUR. 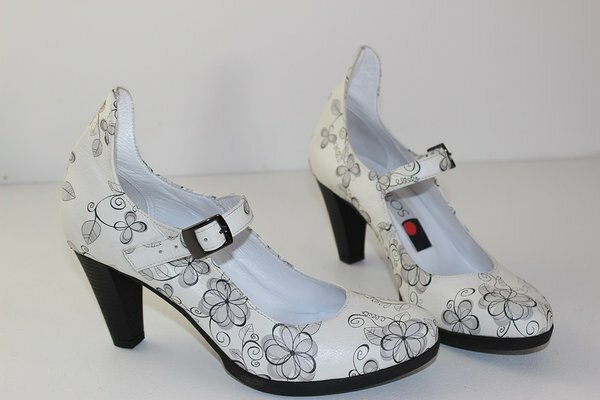 Very elegant shoes from white natural grain leather with Grey flower style ILOS finish. 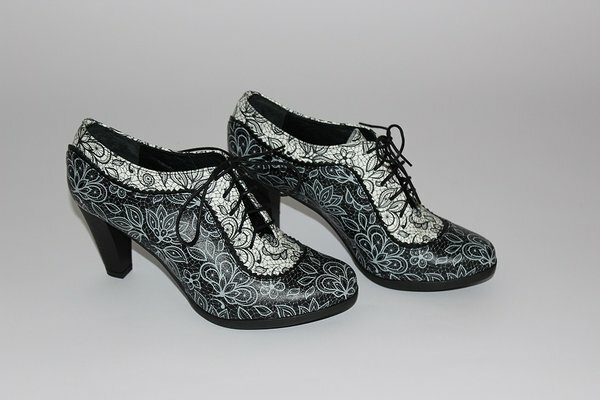 Very elegant shoes from black natural grain leather with white lace in black style ILOS finish. 10. 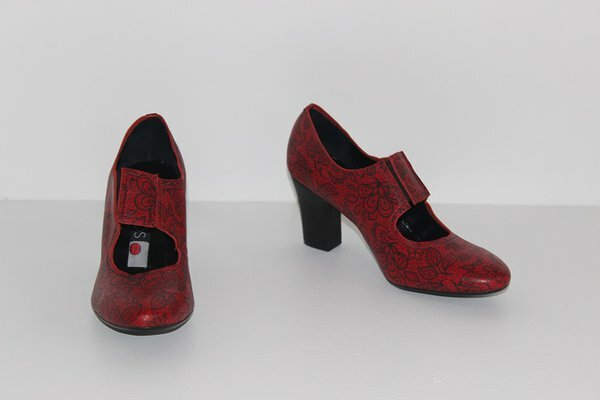 Handmade Woman elegant high heel shoes from ILOS finished natural leather, model LRG168 Lace. Individual sale price 155 EUR. 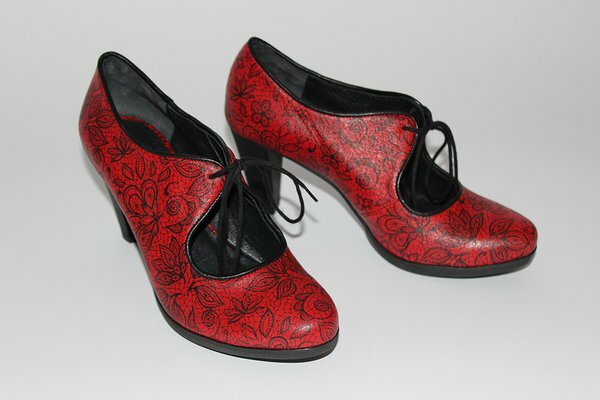 Handmade Woman elegant medium heel shoes from Red ILOS finished natural leather, model LR 156 Black Lace. Individual sale price 165 EUR.